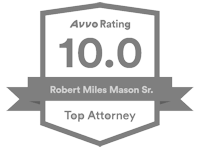 Article about how to engage a business valuation expert witness by Miles Mason, Sr., a Memphis, Tennessee divorce lawyer, describing the step by step process to select the right expert for a divorce case. Originally published in the May 2006 Georgia Bar Association Family Law Section Newsletter, The Family Law Review. Reprinted with permission. The process of engaging a business valuation expert can be a serious challenge, even for the experienced lawyer. For the less experienced, the process can be quite intimidating. Clients often fail to appreciate the importance of the business valuation to the overall estate division. Other clients suffer serious “sticker shock” over expert fees, even when estates are significant. Making it even more challenging, some experts themselves act as if they are doing the lawyer a favor by accepting business valuation engagements. This article presents some helpful advice. If you have made a significant commitment to practicing family law and you do not have a business relationship with three business valuation experts, you should begin creating those relationships today. Do not wait and worry about it when you are hired by a client needing a business valuation. Start by calling and scheduling lunches. If you do not know with whom to schedule those lunches, first call other attorneys you respect and ask for referrals. Next, hit the Internet and look for experts in your area. Search the web sites listed below. Also, search Google with the following phrase: “business valuation expert [name of city].” This should help you find several candidates. Pick three, call them, and ask them to lunch. If the valuation expert agrees to have lunch with you, offer to pick up the expert and drive her to a nice restaurant. If successful, you will get to see her offices, which can provide valuable information. If the expert offers to meet you at the restaurant, that is o.k. If the expert offers to meet you at your office, that can be interpreted in a bad or good way. Either the expert is embarrassed of her office or the expert “gets it.” “Getting it” means that the expert understands that you can be a future referral source and is willing to come to your office to increase that possibility. Before lunch, you can run the expert’s name through Westlaw and see if any opinions pop up involving that expert. If a business valuation issue was appealed, more than half of all appellate opinions list the experts’ names. Print the case, read it if you have time, and later place it in your Experts notebook behind that particular expert’s tab. At lunch, be honest about your experience. Get to know the expert’s personality. Let your natural people skills take over. If you can’t get along during a relaxing lunch, forget about working together during a tough deposition. If the expert “big leagues” you, note that in your files as well. After lunch, ask for the same reference material listed above. Write the expert a thank you note and include your card. Put the expert on your mailing list. Before the business valuation client walks in your office, you still have some work to do. You need to buy and read The Lawyer’s Business Valuation Handbook: Understanding Financial Statements, Appraisal Reports, and Expert Testimony, by Shannon P. Pratt. For purchasing information see: ” //www.abanet.org/abastore”. The book is by far the best and most understandable business valuation reference for lawyers. It contains an excellent overview of the different credentials a business valuation expert can have (put a post-it note at the beginning of these pages), including ASA (appraisers.org), CVA (nacva.com), CBA (go-iba.org), and ABV (aicpa.org). If this book does not address a particular business valuation topic, you probably won’t need to understand it. When you hire an expert in a divorce case, the actual outcome of the expert’s report is unknown. Expert valuation reports first assist lawyers with preparing settlement offers. Strategically, engaging an expert or experts in a divorce case communicates important messages to your spouse. One of the most important messages is that you are serious, ready, and prepared for trial if negotiations fail. If settlement negotiations are unsuccessful, the report can be entered into evidence at trial. Also, the expert may testify. Each state has its own legal standards by which businesses may be valued for divorce purposes. In most cases, there may be no other way to introduce comprehensive evidence about a business’s value other than through an expert witness. Typically, experts require a retainer and charge by the hour. Engage the valuation expert and sign the engagement agreement before delivering documents or information. Know what part of the expert’s retainer may be non-refundable. 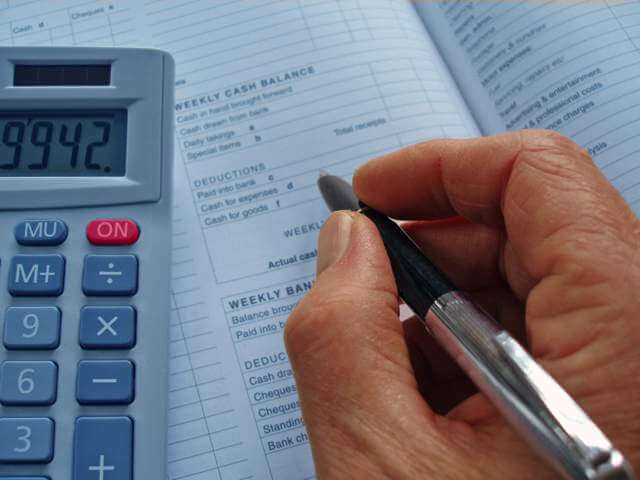 Most experts offer a range for the expected cost to prepare a report. Most often that range is pretty accurate, but not always. Unexpected things do come up. The uncertainty in predicting total fees also comes from not being able to know how long depositions or trial testimony will take. For example, the length of depositions varies according to how long the other attorney wishes to depose your expert. Some expert witness depositions last only thirty minutes. Others can take longer than a full day. It is very common for the potential client to be reluctant to hire an expert. Even so, if a potential client is reluctant to hire an expert, you must be concerned. With all that must be done in the typical case, some lawyers forget that it is a basic function of the divorce lawyer to both identify all marital assets and debts and value them. How can a lawyer advise about dividing up the “marital estate pie” when she does not know how big it is? Experts are not created equal. Do not be tempted to go with the cheapest alternative. If you want to share a war story with a client, try Powell v. Powell, a Tennessee case. You can obtain a PDF file of this case for free at //www.tsc.state.tn.us/OPINIONS/TCA/PDF/032/Powellch.pdf. Powell teaches an important lesson. The most significant contribution Mrs. Powell’s lawyer made which led to the victory before the appellate court was the first phone call to their future expert, Mr. Vance. (Mr. Vance’s professional biography can be viewed at: www.valuationlitigation.com.) Whether you are hiring an experienced sole-practitioner CPA or one of the nation’s most prestigious valuation firms, like Mercer Capital, see www.bizval.com, choosing your business valuation expert is a pivotal decision. The first party to engage the best expert for the case may have a perceived and actual negotiating advantage. In Powell, the court’s valuation decision created an obligation for the husband to pay the wife almost a million dollars. For many cases involving small business valuations, a significant amount of money is at issue. Before interviewing an expert, learn everything you can about the subject business so that you can speak somewhat intelligently. While the expert will not expect you to understand subtle details about the company’s financial performance, knowledge of some basic details will make it clear you have done some homework. Search Google, the local business journal and newspaper, the county register’s office (looking for UCC-1’s and other financing filings), and industry journals. Also, work the phones. Call and talk to CPA’s and stock brokers who make it their business to know a lot about area businesses. What are your education, training, and experience? What is your prior testifying experience, both in court and in depositions? Explain why your credentials are good/better/best. Have you prepared for the meeting by performing limited research on the industry or subject business? How many times have you been engaged by opposing counsel? Do you have any friendships or possible conflicts with potential witnesses? Do you prefer to be hired by the client or lawyer? Who will be legally responsible for your fee? The effort you put into hiring a business valuation expert will never be wasted. You must learn about the subject business anyway. Your client will see a sophisticated, detail-orientated lawyer working the case. You can gain insight from every meeting, even bad ones. 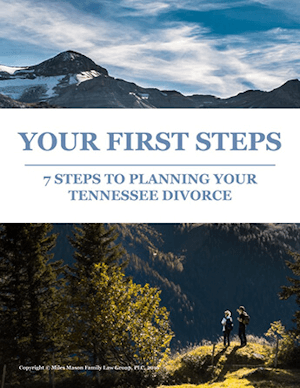 Your client will see that the divorce process is as not as simple as he or she might have first thought. From the first lunch to the tenth favorably negotiated settlement, the process of developing serious working relationships with business valuation experts can be financially, professionally, and personally rewarding. 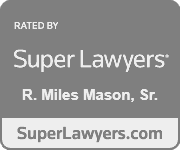 Miles Mason, Sr. JD, CPA is a member of Miles Mason Family Law Group, PLC, located in Memphis, Tennessee. 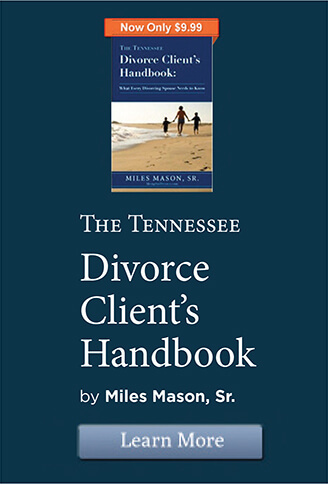 He served as Chair of the Tennessee Bar Association Family Law Section and served on the Editorial Board of the Tennessee Bar Journal. Mason practices family law exclusively. I am grateful to Randall Kessler, Esq. and the Georgia Bar Association Family Law Section for asking me to write this article, publishing it in its May 2006 newsletter, The Family Law Review, and granting me the permission to reprint it. The article appears on pages 22-24. To find the article in pdf format, see //www.gabar.org/public/pdf/sections/familylaw/flsmay06news.pdf. Also, special thanks to Jim Webb for outstanding editing.